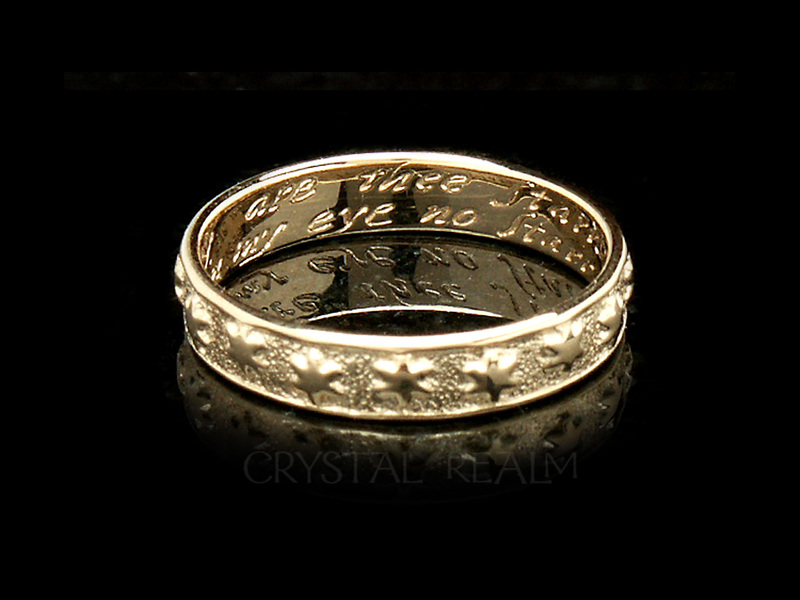 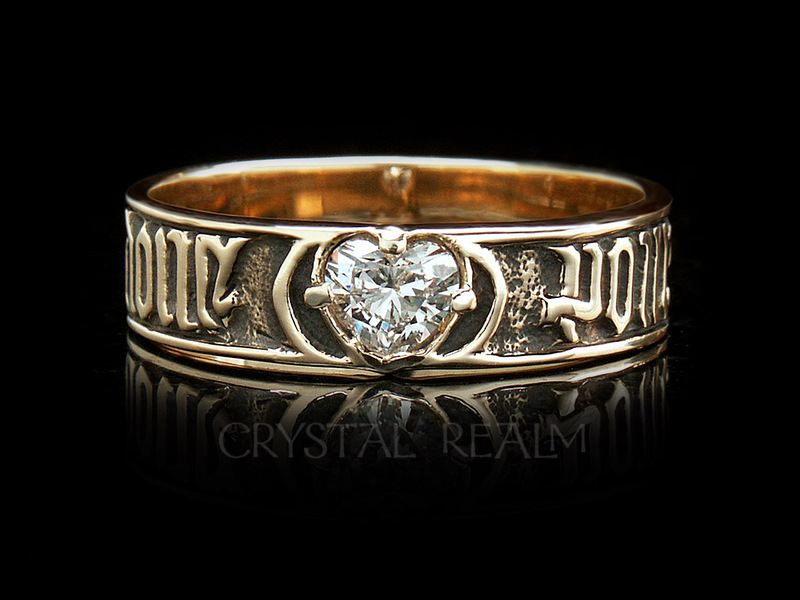 In 16th and 17th century England or France, a wedding ring would invariably be inscribed with a sentiment of love, faith, and hope: a short love poem, known as a posy or poesy (pronounced the same). 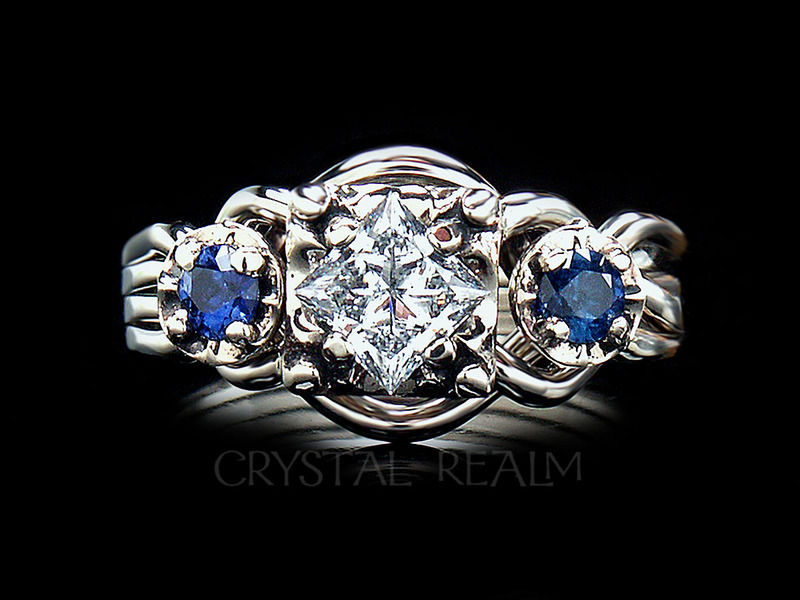 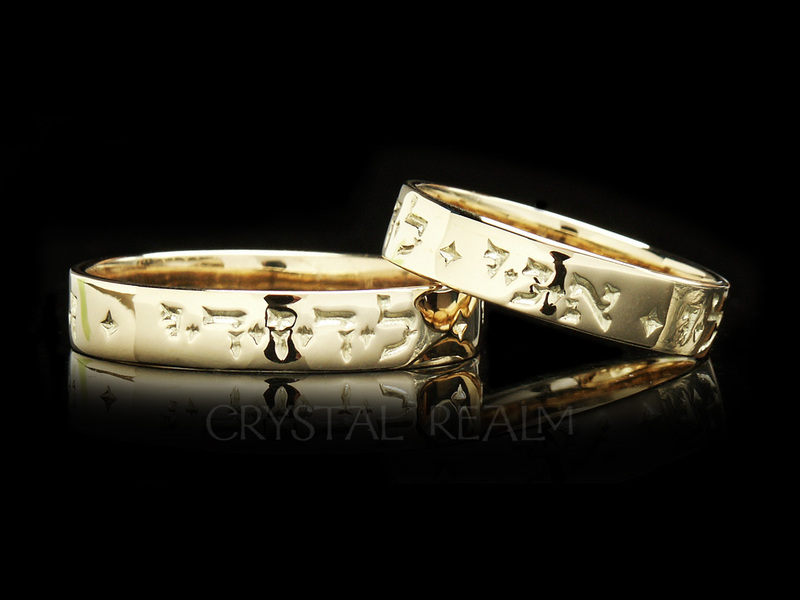 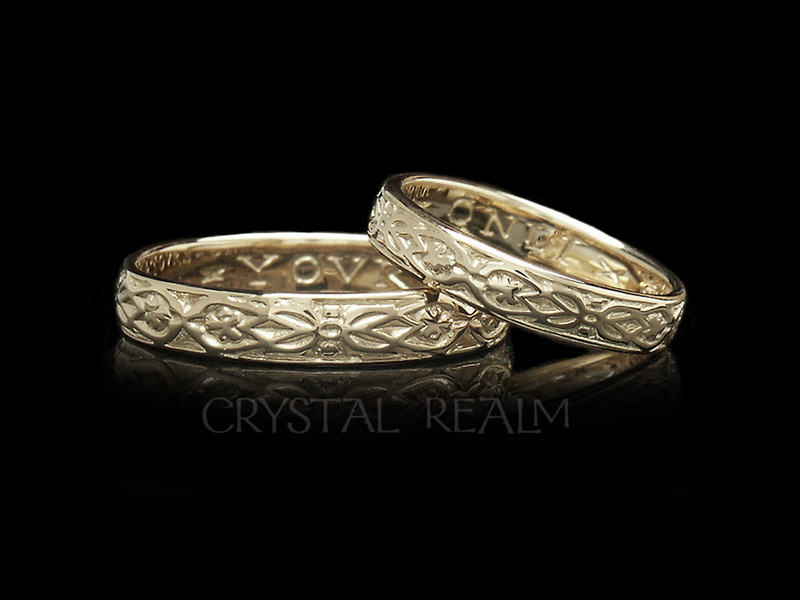 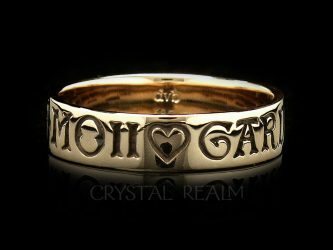 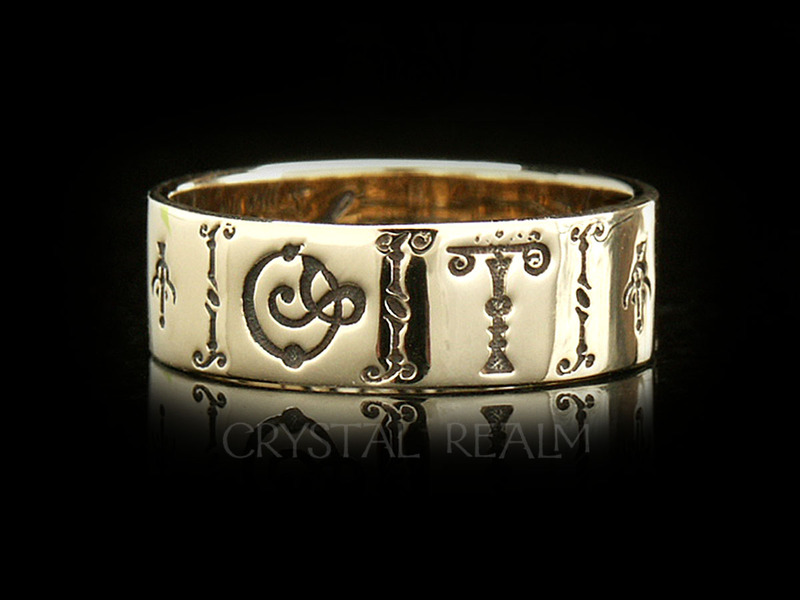 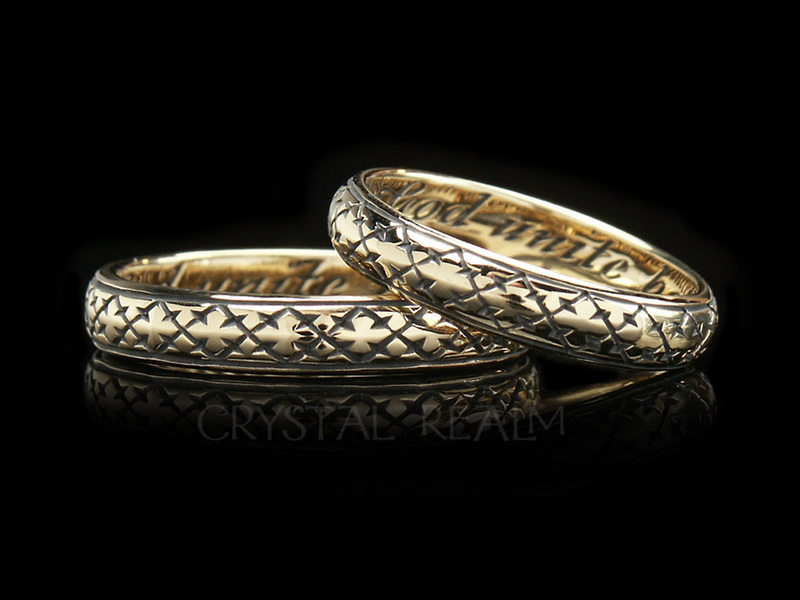 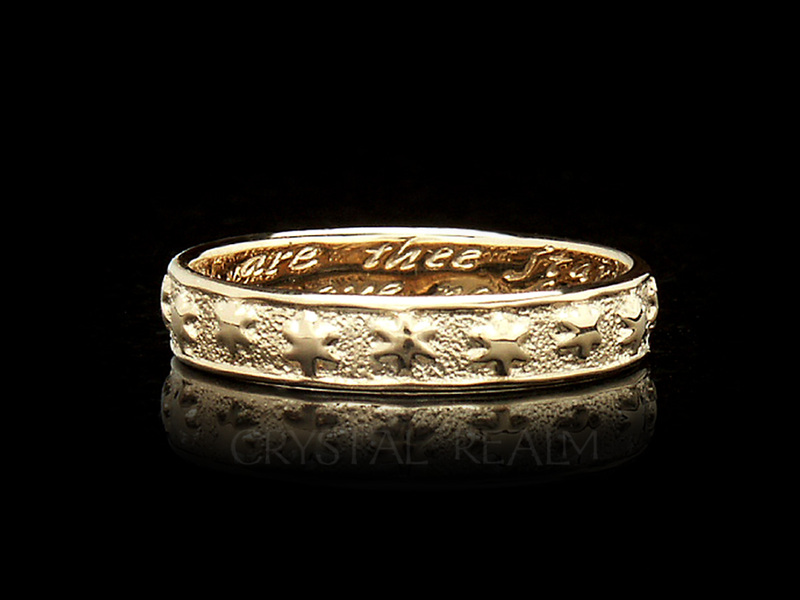 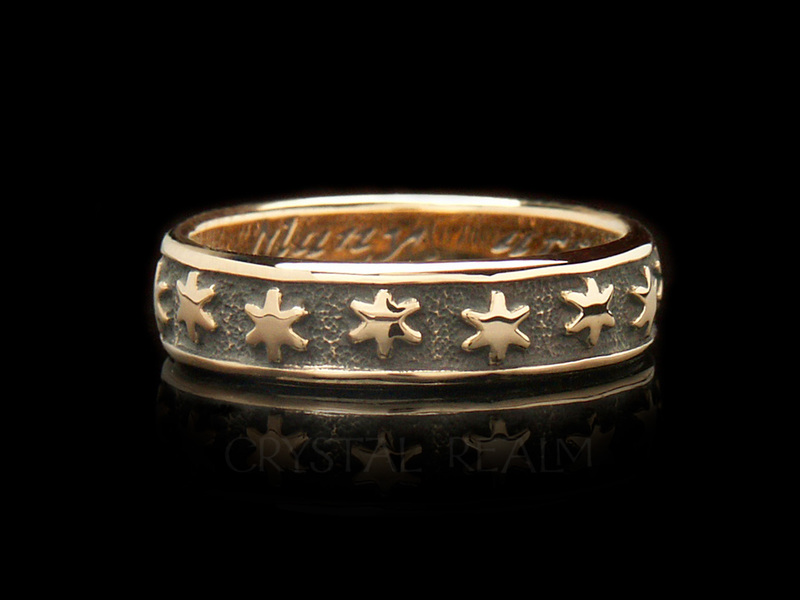 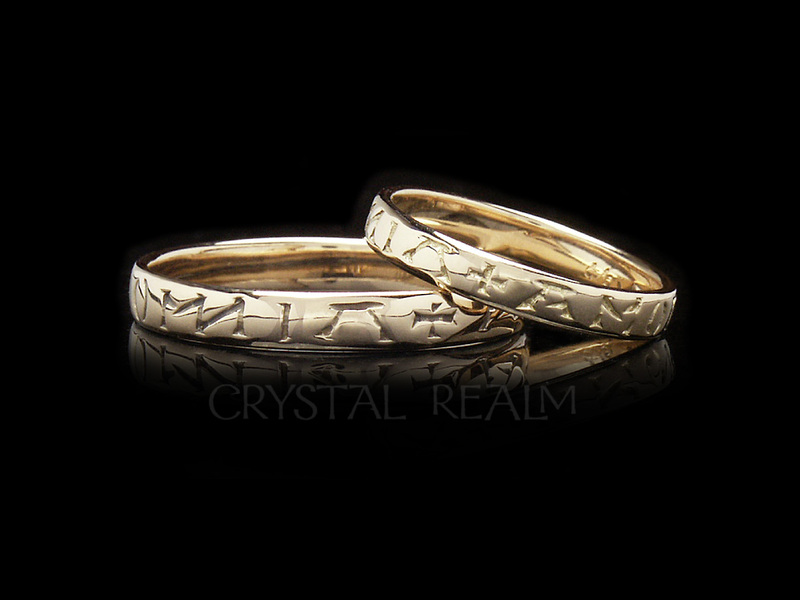 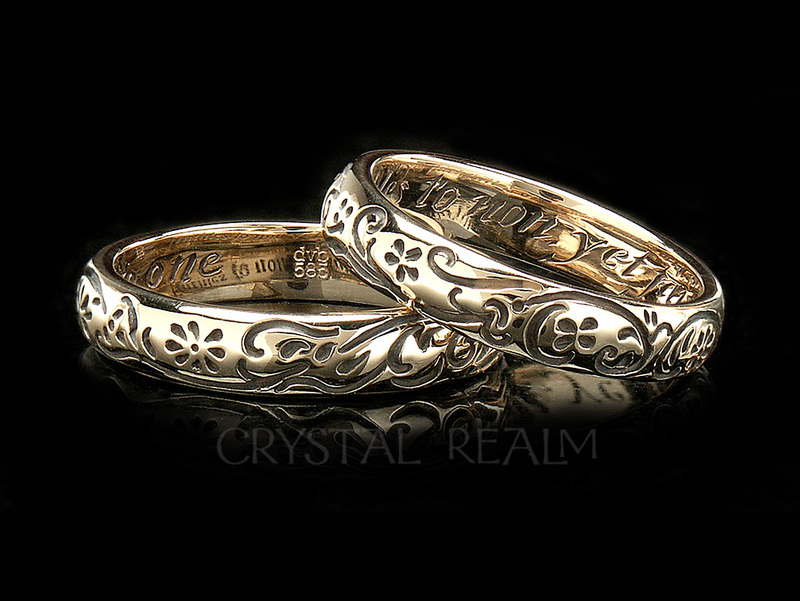 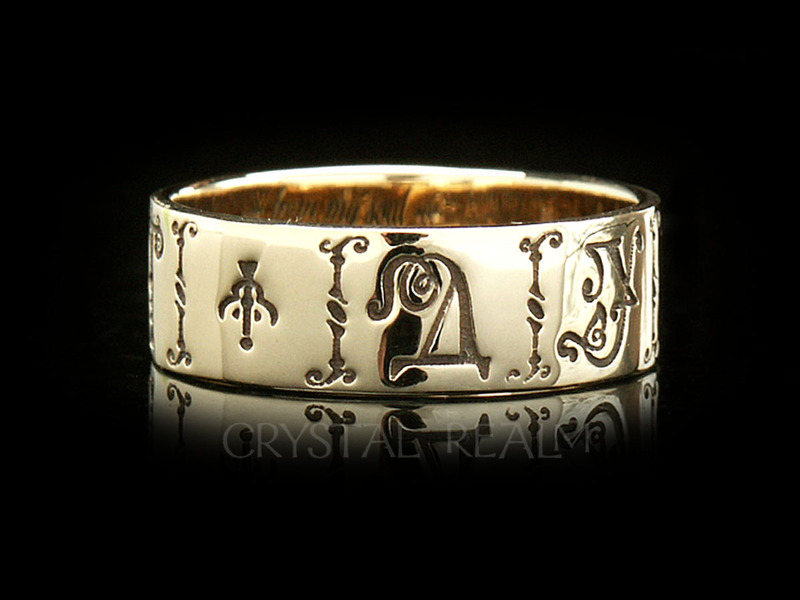 A sterling silver betrothal ring would often be replaced with the same posy ring – or poesy ring – in gold upon marriage. 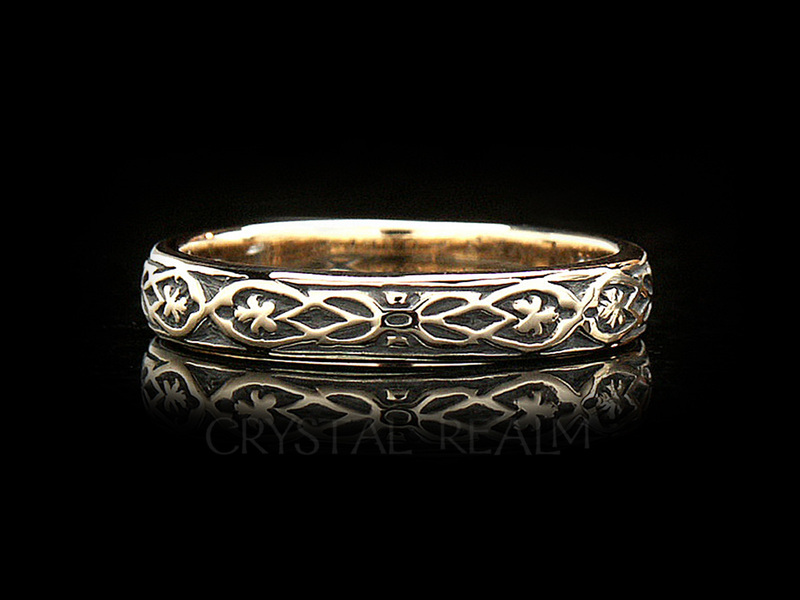 The popularity of these posy rings is attested to by their frequent mention in Shakespeare’s plays. 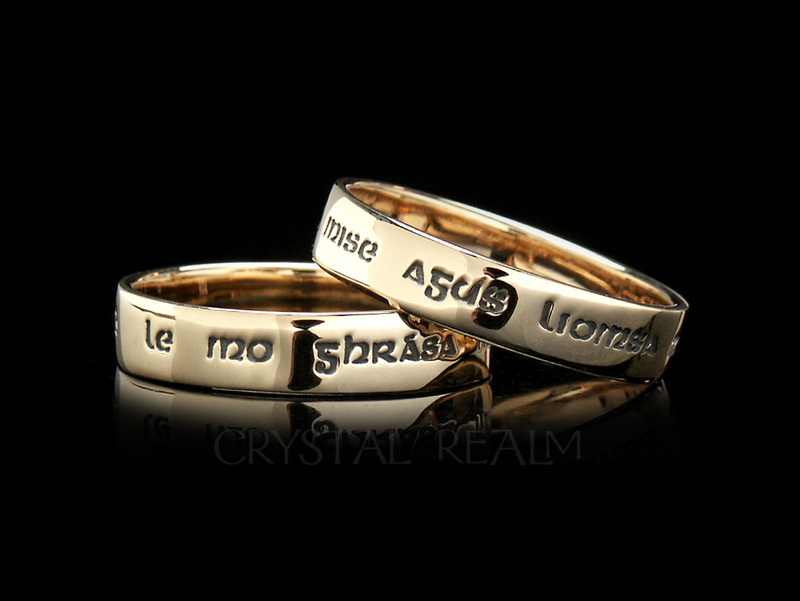 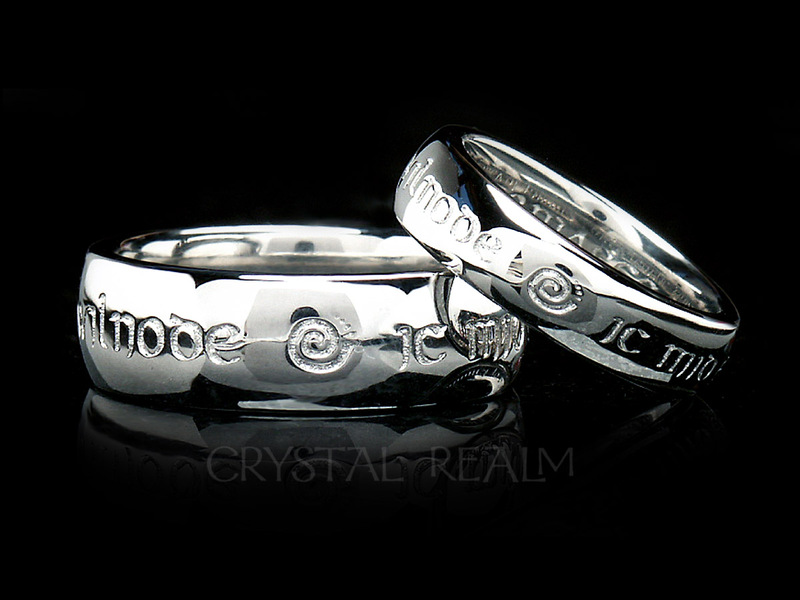 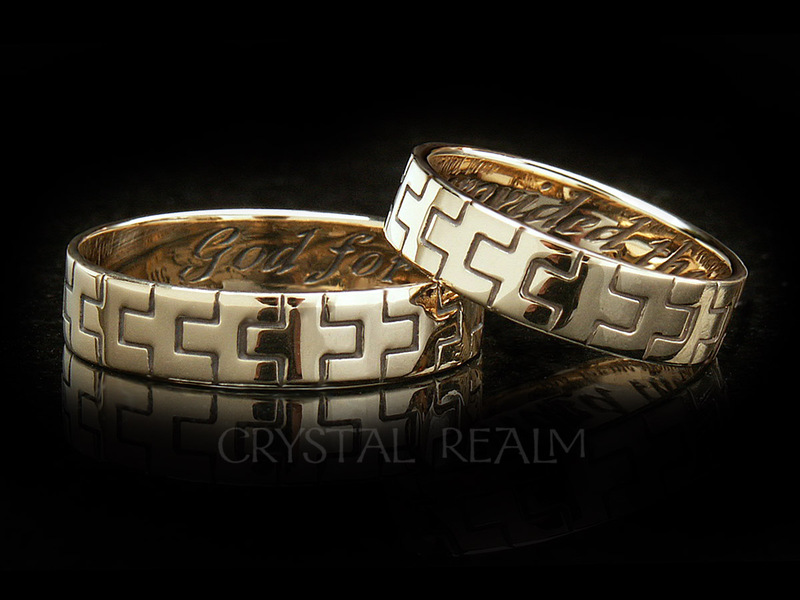 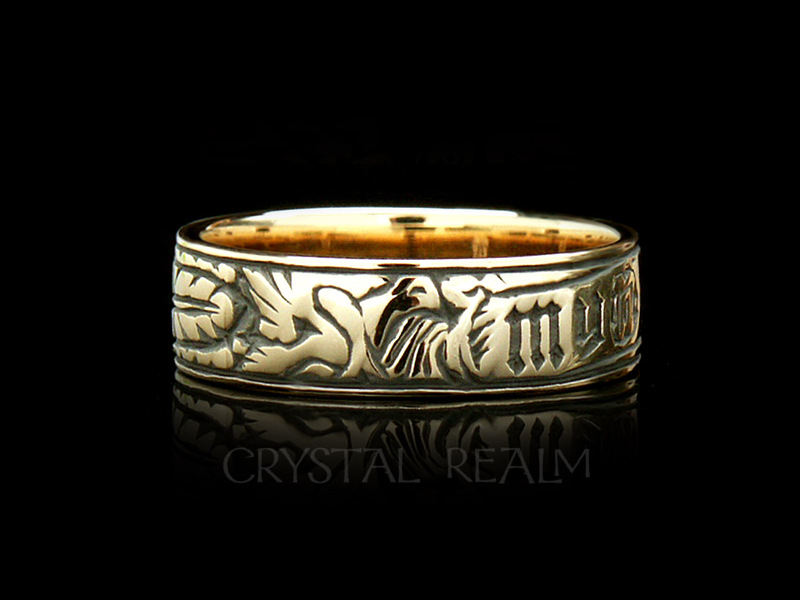 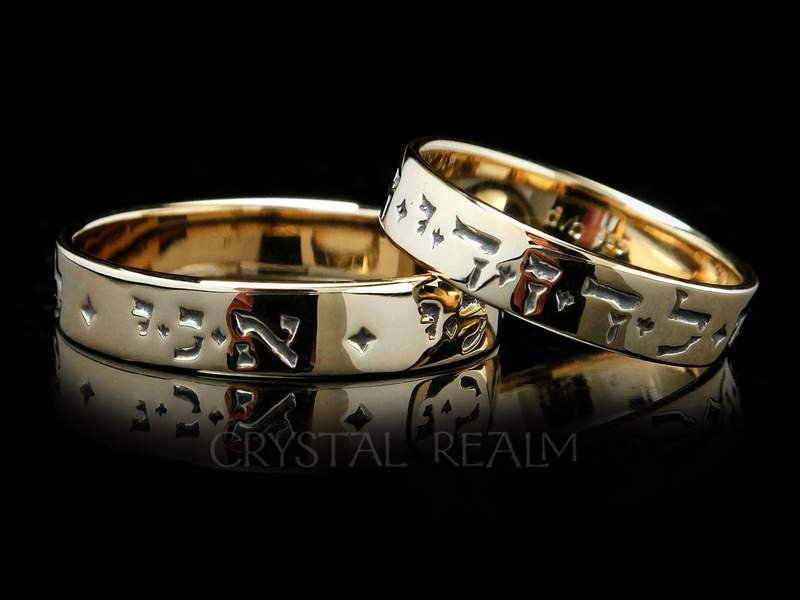 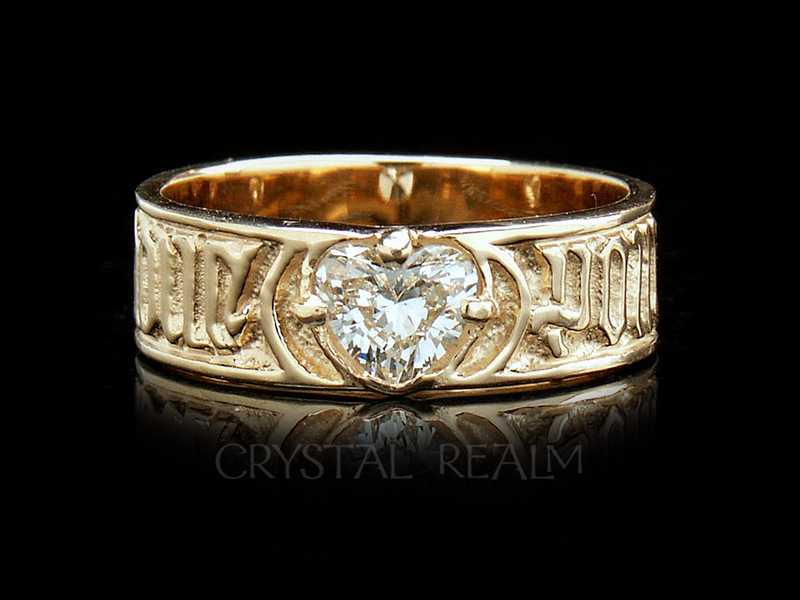 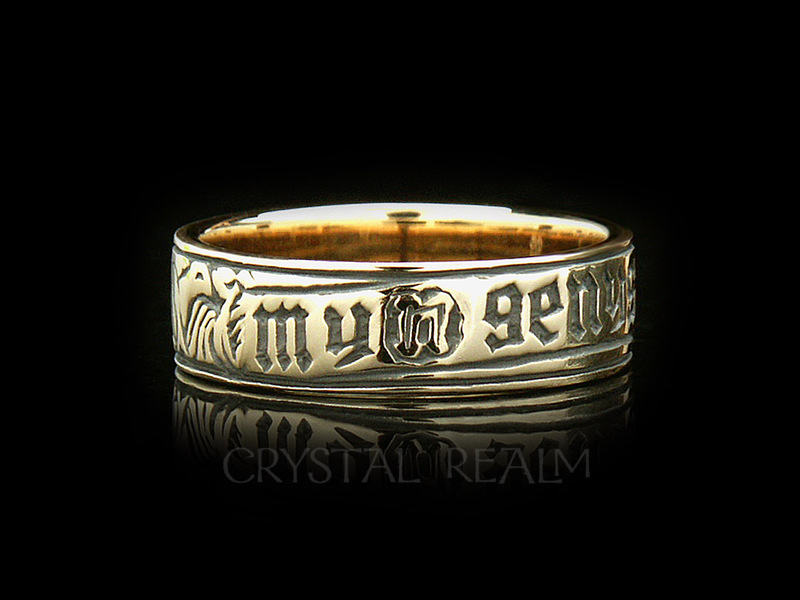 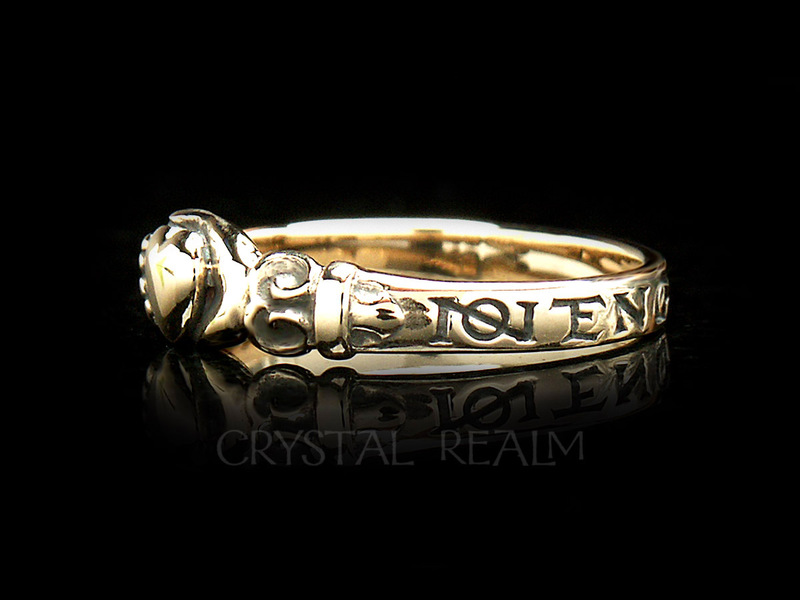 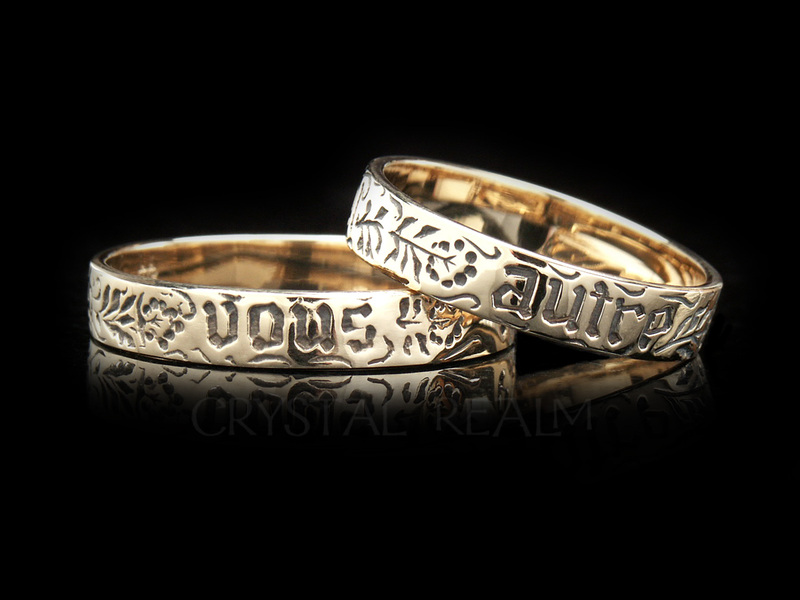 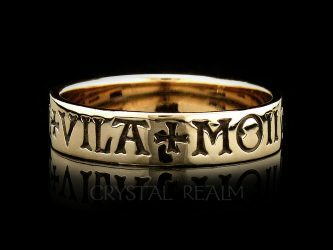 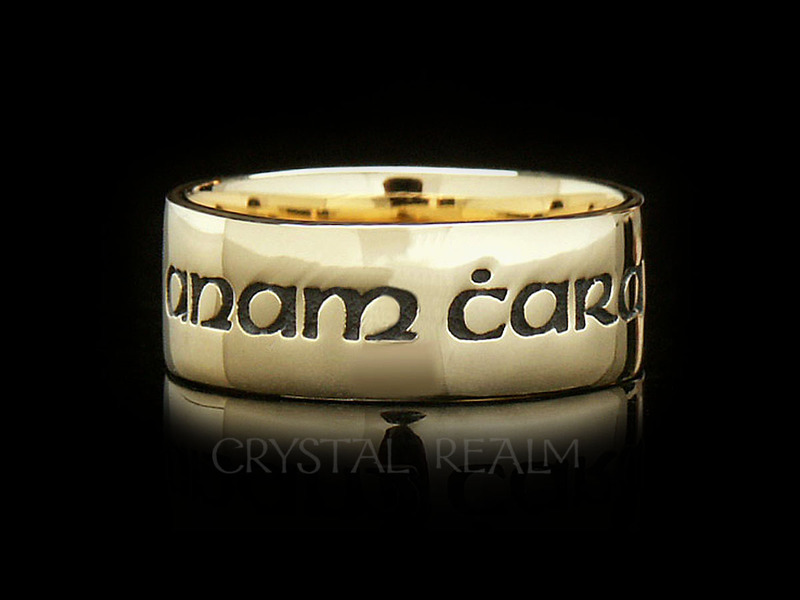 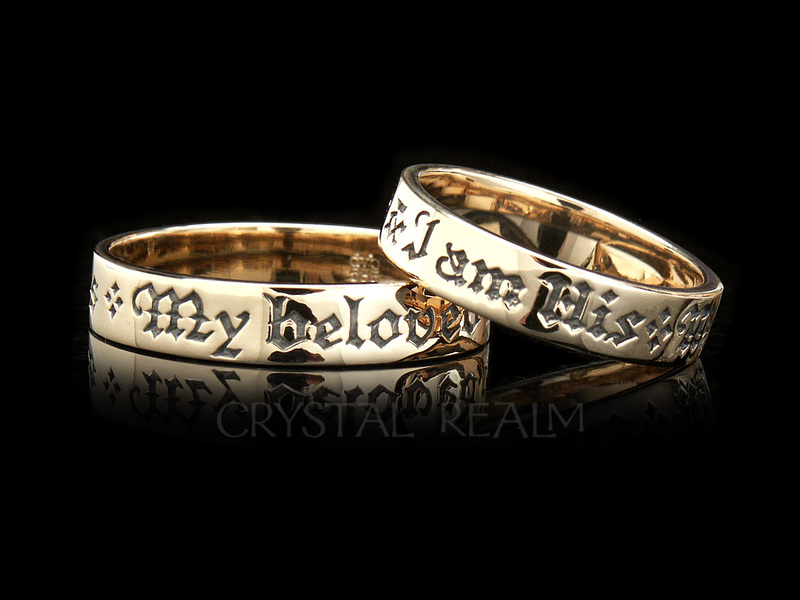 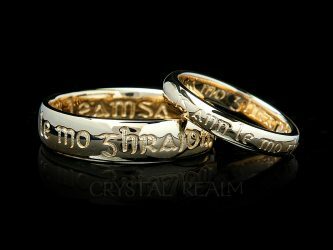 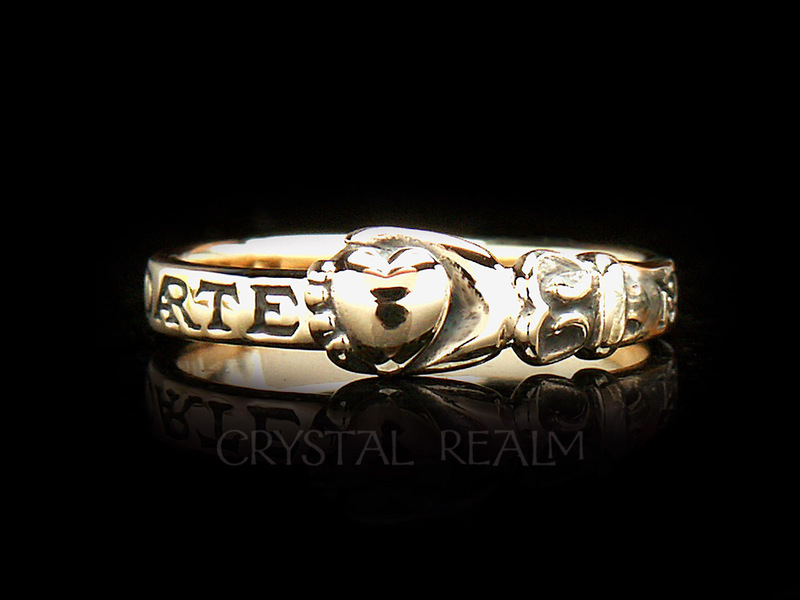 The tradition is older than Shakespeare’s time, but it was during the Renaissance (14th-17th Centuries) that the custom of poesy rings reached the height of popularity. 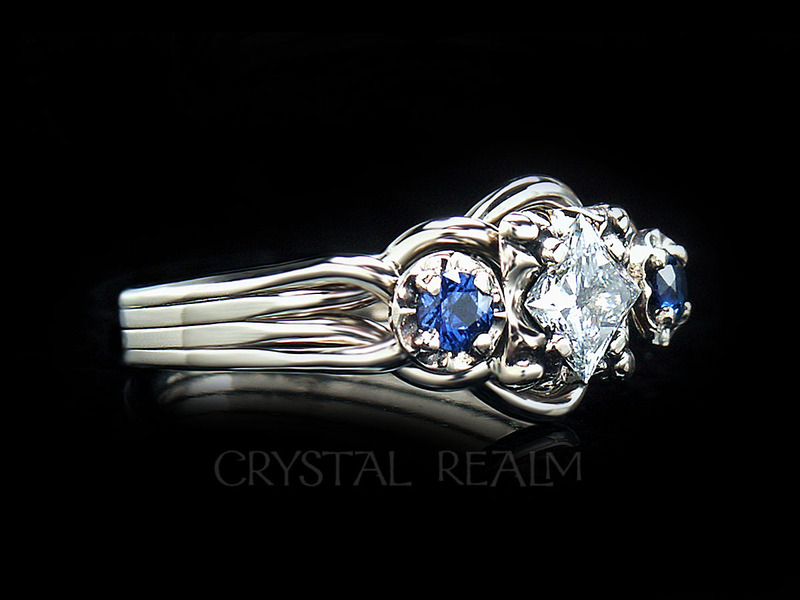 We are the posy ring specialists. 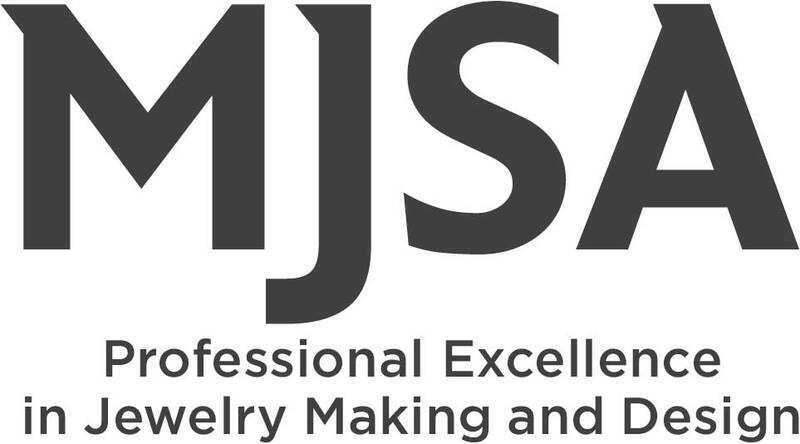 Here is how our expertise benefits you. 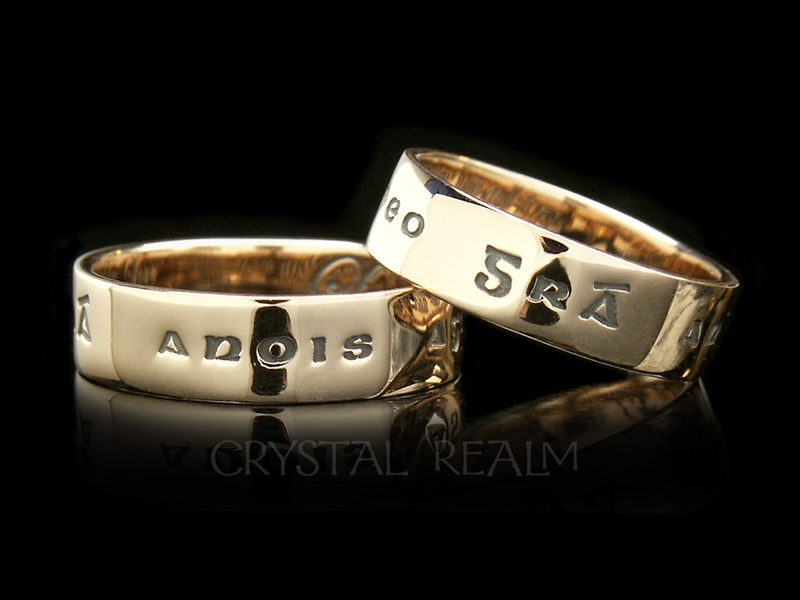 For your convenience, 1) we carry every style of traditional and contemporary posy ring all the time; 2) offer every style in every metal: 14K white, yellow, and rose gold and platinum; 3) make posy rings with your selected lettering in those metals plus palladium, a white, durable, non-allergenic, platinum-family metal; 4) offer whole, quarter, half, and three-quarter sizes; 5) offer custom as well as traditional posy rings; and 6) offer bridal sets in which posy rings are paired with hand-woven puzzle engagement rings.